It’s a strange story. 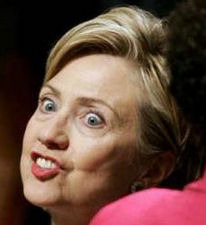 The six members of the Paw family donated a combined $45,000 to Hillary Rodham Cankles Clinton’s campaign and a total of $200,000 to the Democratic Party. That ranks them up there among Hillary’s and the Dems’ largest donors. People who answered the phone and the door at the Paws’ residence declined requests for comment last week. In an email last night, one of the Paws’ sons, Winkle, said he had sometimes been asked by Mr. Hsu to make contributions, and sometimes he himself had asked family members to donate. But he added: “I have been fortunate in my investments and all of my contributions have been my money.” . . . The Paw family is just one set of donors whose political donations are similar to Mr. Hsu’s. Several business associates of Mr. Hsu in New York have made donations to the same candidates, on the same dates for similar amounts as Mr. Hsu. 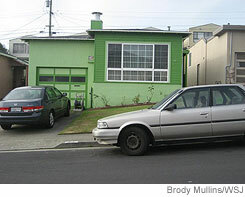 The Paw’s Daly City home is a one-story house in a working-class suburb of San Francisco. On a recent day, a coiled garden hose rested next to a dilapidated garden with a half-dozen dried out plants. The din of traffic from a nearby freeway was occasionally drowned out by jumbo jets departing San Francisco International Airport. Paw Family Home: Mansion of Hillary Fat Cat Donors?